Saints Loss Due to Norovirus? A new study in the December 1st issue of Clinical Infectious Diseases exams the spread of the Norovirus among NBA players in the 2010-2011 season. Let’s blame the Saints loss last Sunday to the Rams on a stomach bug and hope they’re better this week for their game against the Buccaneers. Link to the pdf of the article is available to LSUHSC faculty, staff & students. It can be accessed off-campus with a valid LSUHSC library barcode & PIN. You can find more information at our remote access webpage. Don’t worry! 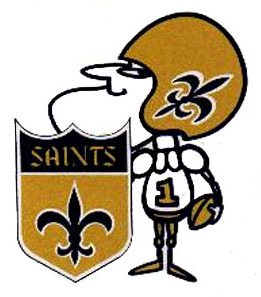 Although everyone in the Libraries are big Saints fans, both the Isché and Dental Libraries will be open until 10 p.m. tonight. In honor of the 1st Black & Gold Superbowl both the Dental & Isché Libraries will have special hours on Sunday, February 7th. The Dental Library will be open from 1:30 to 5 pm. The Isché Library will be open from 10 am to 5 pm. I found out about the article from the official LSUHSC twitter feed! Because of the Black & Gold Superbowl both the Dental & Isché Libraries will have special hours on Sunday, February 7th. Saints Go All the Way! 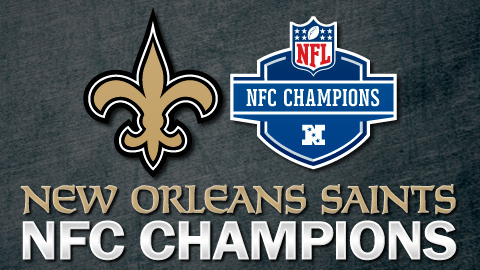 In their 43rd season, the New Orleans Saints are going to the 44th Superbowl. Last month, HealthDay published an article titled “Why Watching TV Sports Increases Heart Attacks.” The study was presented at the American Heart Association annual meeting in Orlando. Every Saints fan in New Orleans can relate to that article today.